Wondercide’s Founder & CEO, Stephanie Boone, recently chatted with host Michelle Fern on Pet Life Radio‘s “Best Bets for Pets” podcast about our full line of holistic solutions for natural pet care. Hear Stephanie tell her dog Luna’s story, explain why natural is the way to go, and share a touching story about a woman with extreme chemical sensitivities finding her way with her rescue dog – naturally. Michelle welcomes Stephanie back to the podcast for her second feature and asks her to talk a bit about what the company does. Stephanie explains that Wondercide creates holistic solutions for natural pet care, with everything from flea and tick control for pets, homes, and yards to ear care, skin care, and supplements. 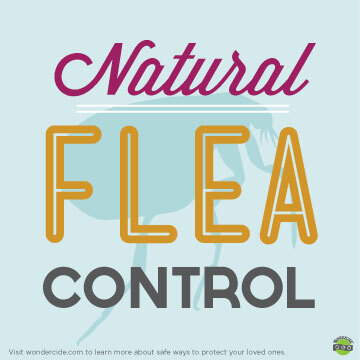 When they first chatted on Best Bets for Pets years ago, Wondercide had just the flagship product – Flea & Tick Control for Pets + Home – and has since expanded to include a full line of natural products. Stephanie talks about the Original Wonderpup, Luna, her dog who was the reason she founded the company. Luna became ill from vet-prescribed spot drops, and Stephanie created Wondercide so other pet parents could protect the ones they love without harsh chemicals. For Stephanie, Luna’s legacy was the inspiration for the entire Wondercide adventure. Next, they discuss the difference between conventional and natural flea and tick control. 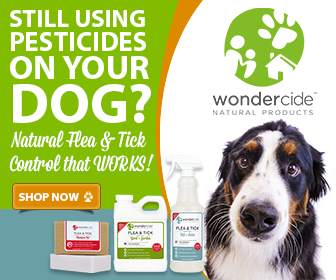 While pet parents are looking for convenience when it comes to spot drops, pills, and other chemical flea and tick control options, Wondercide offers a solution that is both safe and effective – and it’s also convenient to use. It’s so versatile because there’s one simple product for dogs, cats, and indoors, which also makes it very cost-effective. And, it’s just an added bonus that is smells amazing! Some people have extreme sensitivities to chemicals, and Michelle asks Stephanie about how Wondercide can help these families with safe flea and tick control. Stephanie shares a gripping story about a woman who had very severe allergies and had recently adopted a dog who had fleas. She needed to get the situation under control, but she was terrified because she is deadly allergic to most of the available options. Wondercide’s PAWSitive Experience Team offered to send her out some samples to try. She was so scared when she opened the samples that she had her epi pen in hand and was ready to call 9-1-1. But she called back, moved to tears because she had no reaction to Wondercide and could safely treat her dog and her home. That’s when Michelle reveals that she’s got goosebumps from the story because Wondercide was not only able to preserve the customer’s health, but it also allowed her the opportunity to be a pet parent and rescue a dog. 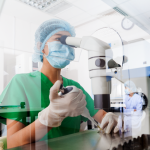 Stephanie tells her that these sorts of stories are what motivates the Wondercide team. Lastly, Stephanie talks a bit about the other products in the Wondercide line, such as the Skin Tonic Spray that she innovated right after the natural flea and tick control line. It contains soothing oils like neem and works as a first aid spray for everything from dry skin, to hot spots, to burns. Another great product is the pet shampoo bar. People told Stephanie she was crazy to suggest using a shampoo bar on pets instead of the standard liquid, but it’s actually much easier to use and has an amazing lather. Everyone who uses it loves it. You can purchase the wonderful line of products online at wondercide.com or at a variety of independent retail locations across the US. Thanks so much to Michelle and Pet Life Radio for hosting Stephanie on your podcast! And thanks to YOU for tuning in to learn more about Wondercide’s holistic solutions for natural pet care! What wondercide product should I order for flea control and tic for mt chocolate cocker spaniel in Oregon? He is 8. Vet prescribed Comfortis because he had had skin problems and crusty itchy spots for years. I am low income and spend a lot for special food vet prescribes plus prescribed shampoo and Gen one topical spray. What fragrance do I buy ? Cedar or lemon grass? Vet said my dog has allergies and he isn’t sure if airborne, from food or fleas. I need to order Oct 3. I am taking him off Comfortis in Oct. Oregon has fleas bad. Thank you for your message, Elizabeth. We absolutely have products that can help you and your Cocker Spaniel find relief. If you are suspecting fleas, then our Flea & Tick for Pets+Home spray is the perfect product for both eliminating and preventing these pests. 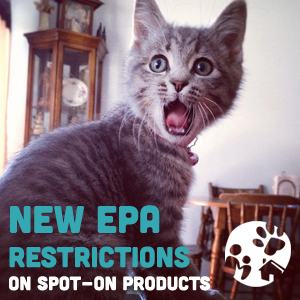 It kills fleas, ticks, and other pests by-contact, as well as repels them. We offer 3 great scent options: Cedar, Lemongrass, and Rosemary. All three are equally effective, so you can select whichever one sounds the most appealing! If you pup is dealing with itchiness caused by seasonal allergies, we also have a fabulous product called Skin Tonic. This spray can be applied to your dog as often as needed, and provides instant, soothing relief from itching or irritation cause by seasonal allergies, fleas bites, and more. We’re always here to help, so please don’t hesitate to reach back out to us if there is anything further we can do for you!